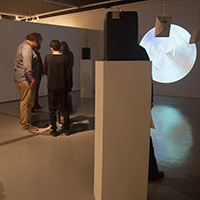 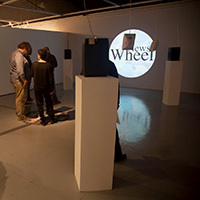 News Wheel as presented at Long Beach City College combines Jody Zellen's graphical interface with Daniel Rothman's audio installation, literally spinning the traditional newspaper and radio platforms for news reportage, through their web-based mediums. 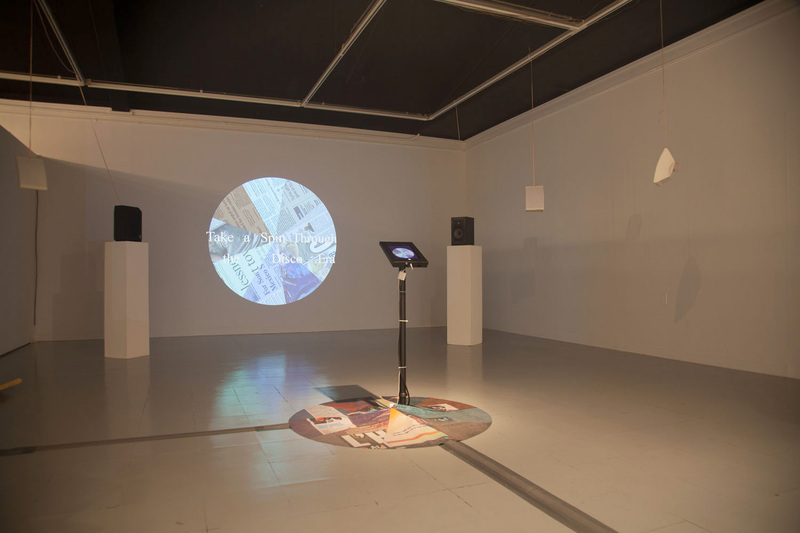 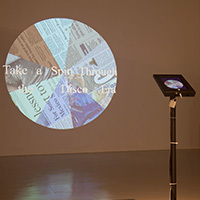 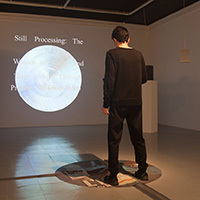 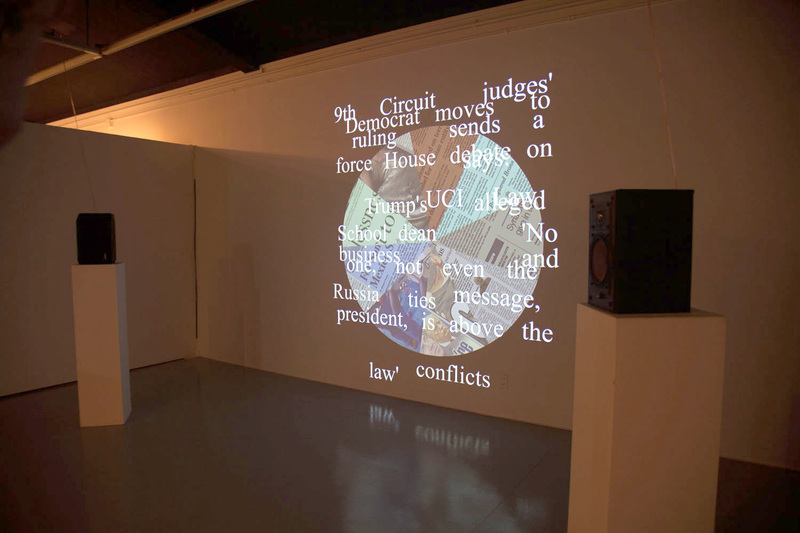 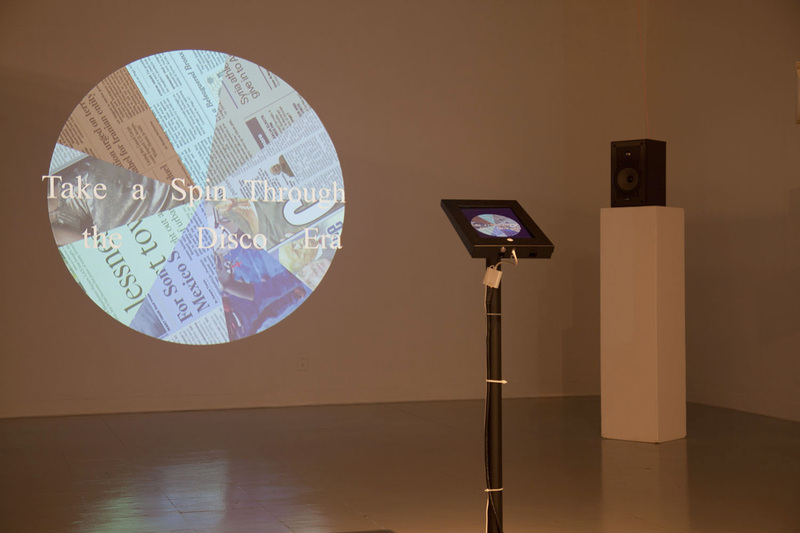 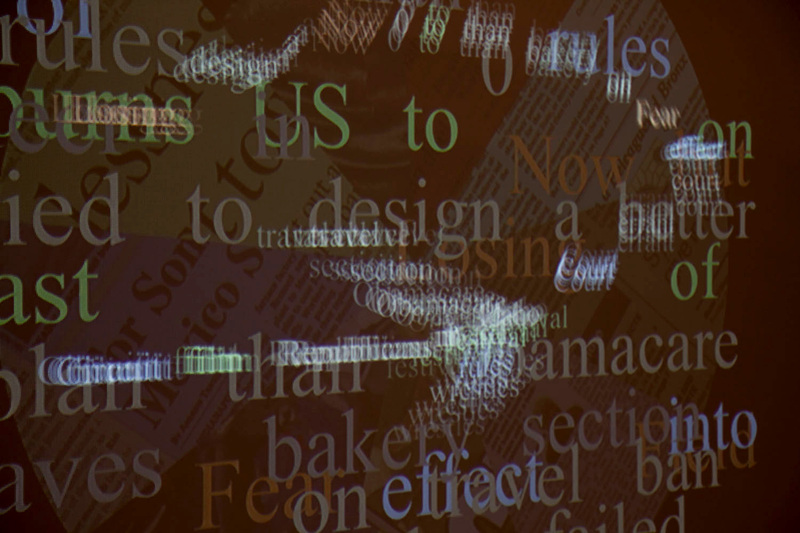 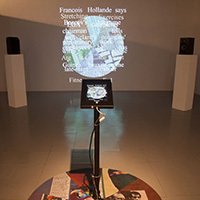 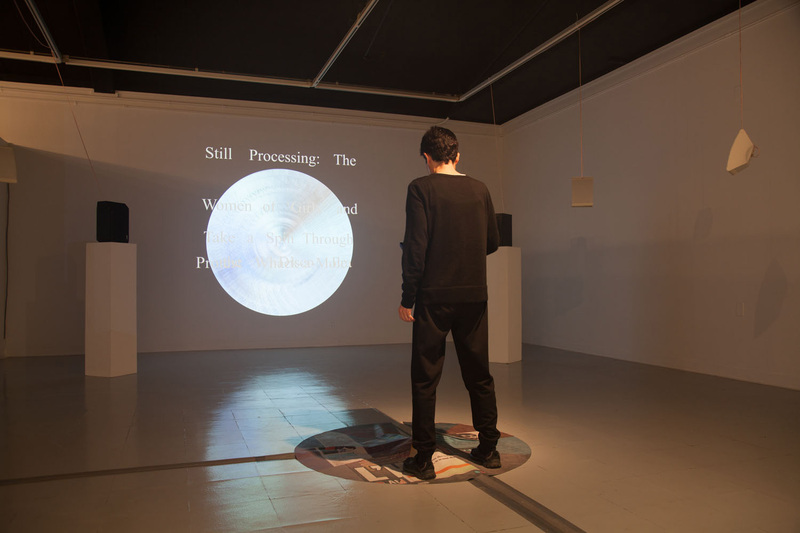 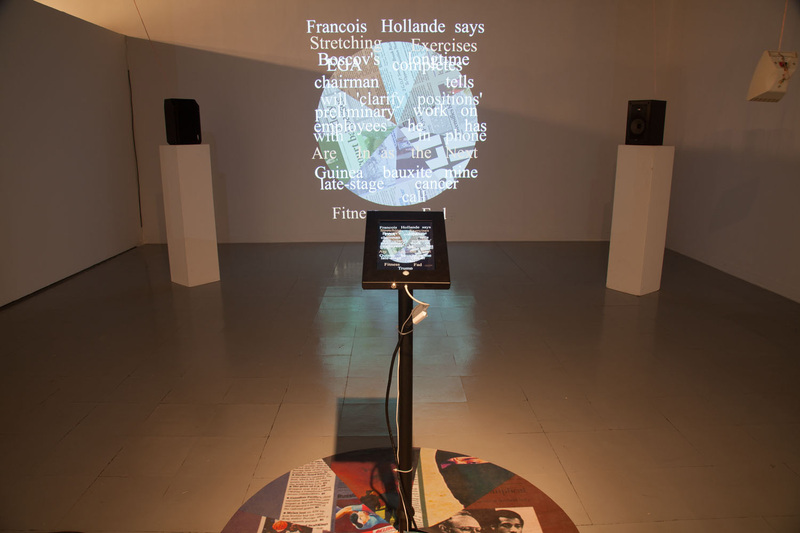 Projected on the wall as a spinning pie is a news wheel accessing 9 popular printed international news outlets. 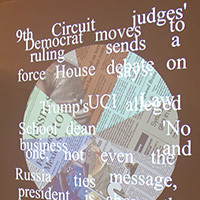 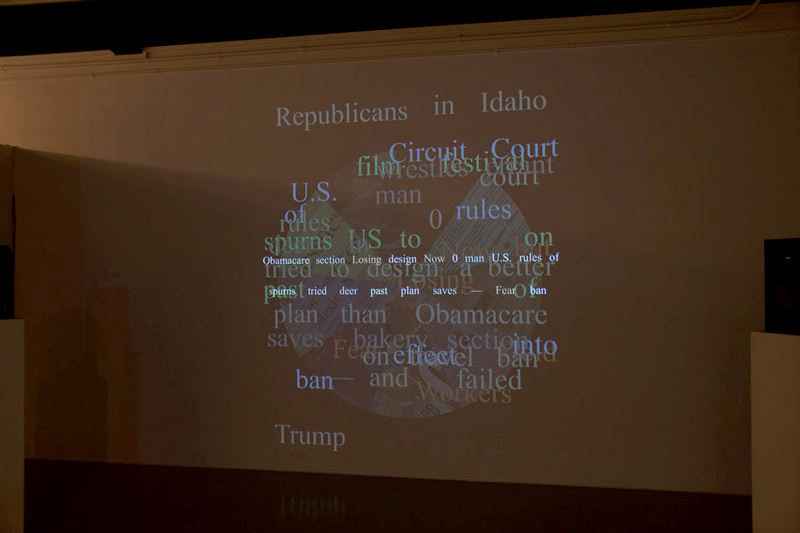 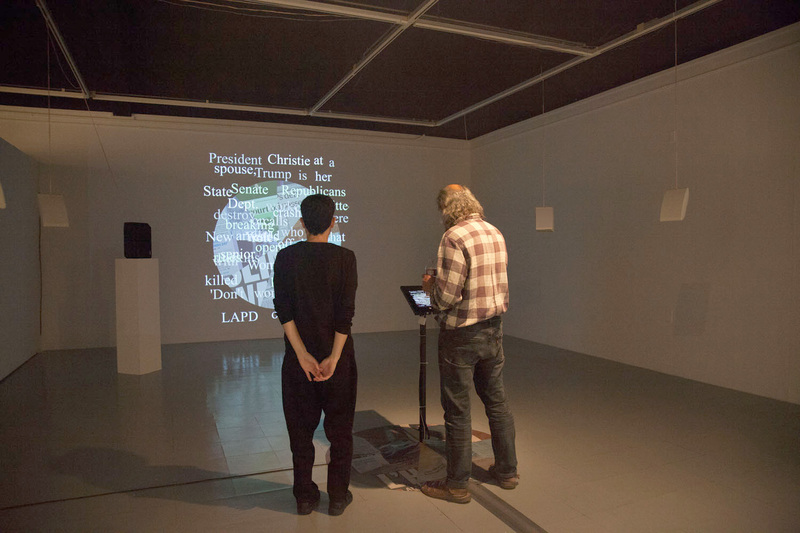 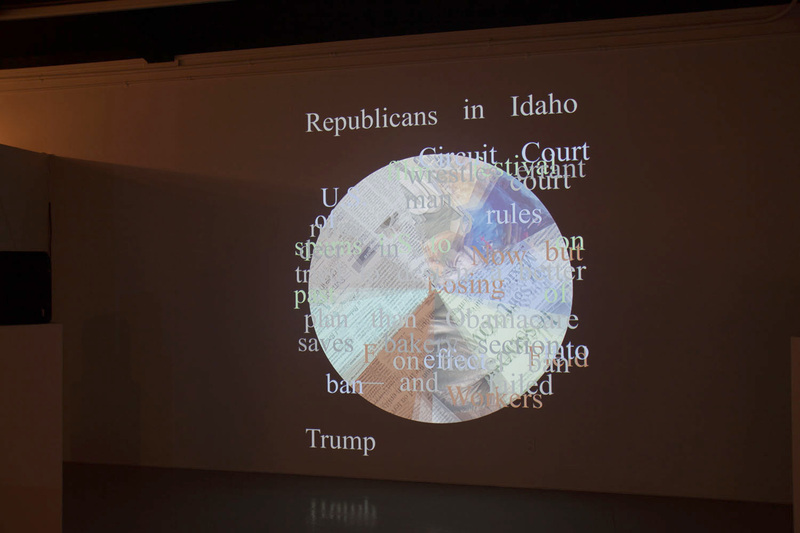 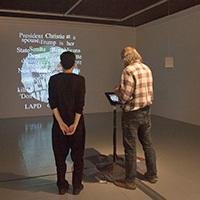 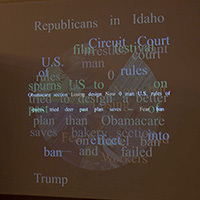 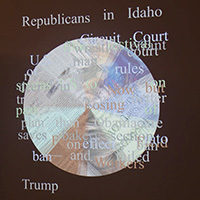 Gallery visitors touch an iPad screen in the center of the room to stop it, yielding their headlines in real time, which she/he may rearrange by dragging words for relevance or poetic content to create a news haiku, like a Duchamp cut-up. 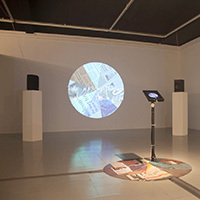 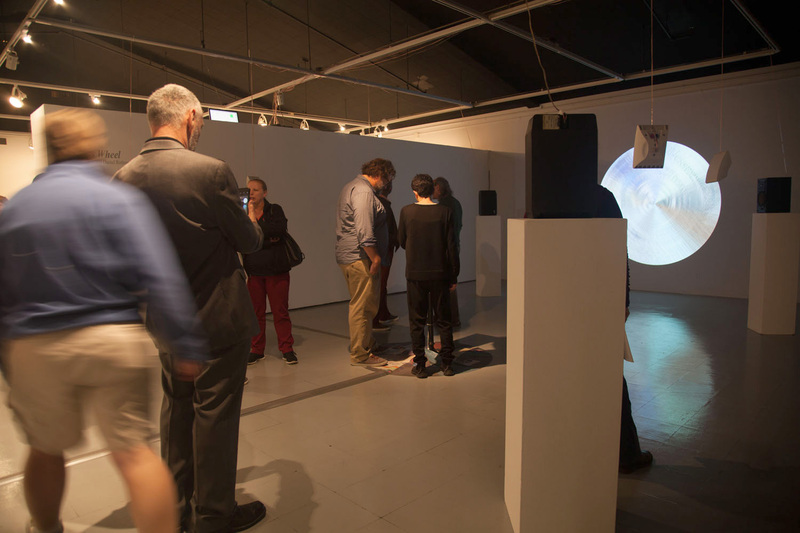 Around the space are 8 small loudspeakers, from which news from 8 radio stations (at low volume) spin from speaker to speaker, at the same rate as the projected pie. 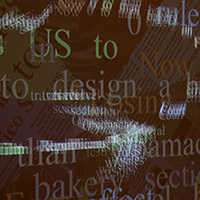 The spinning audio stops when the pie is stopped--one station per channel--and their composite audio can be aurally perceived as whatever local, national, international, and fake environment is broadcast at that time. 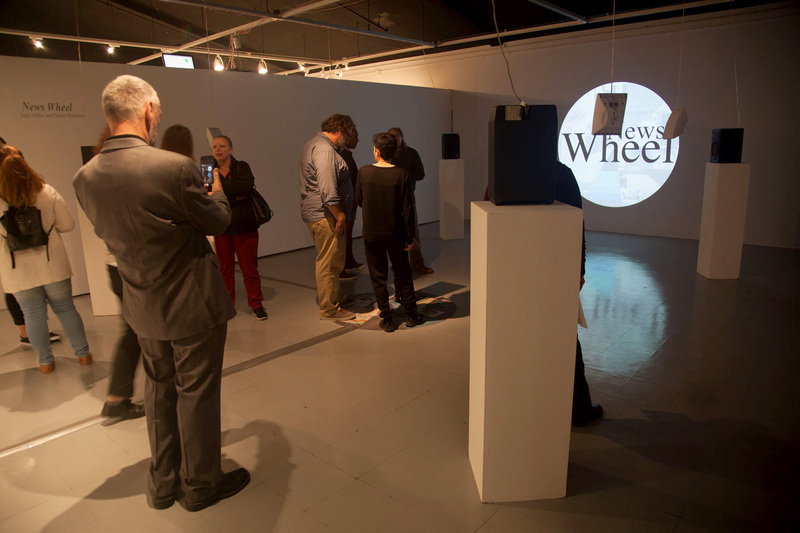 News Wheel was programmed by Z Sweedyk and made possible via a 2016 artist fellowship from the City of Santa Monica. 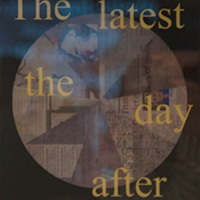 To get the app click here. 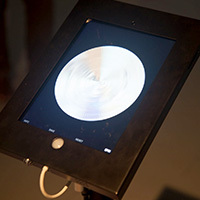 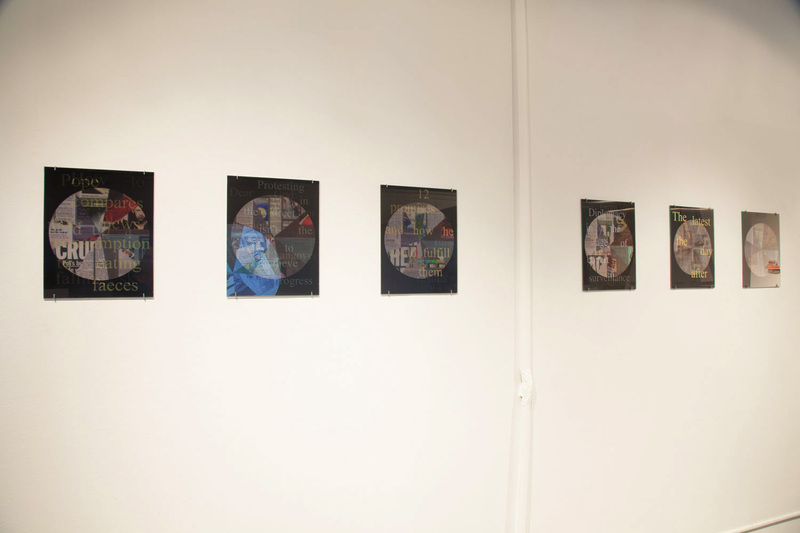 // To see the images in the lenticular prints as gif animations click here. 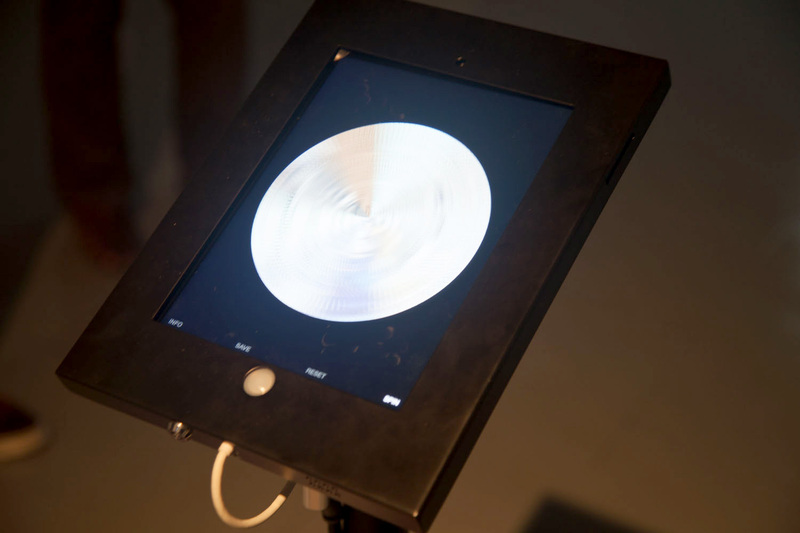 To experience the sound watch the video below.